South Korea will employ “strong measures” to reduce fine dust coming from coal power by up to 43 percent by early next year amid growing concerns of air pollution, the Trade, Industry and Energy Ministry said Wednesday. “We aim to reduce fine dust coming from coal power by up to 43 percent by the spring of next year, as it is the most urgent (to address air pollution),” said Paik Un-gyu, minister of the trade, industry and energy, at a thermoelectric power plant in Dangjin, South Chungcheong Province, where he met with officials from regional governments and companies as well as residents. This is part of the Moon Jae-in administration’s pledge to reduce emissions of fine dust by 30 percent compared to 2016 within his tenure, which ends in 2022. Fine dust topped a list of social risk factors, according to a survey of around 4,000 people last year by the Korea Institute for Health and Social Affairs. 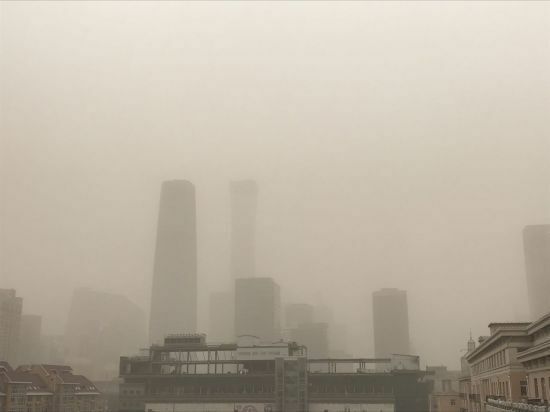 The Energy Ministry said it would adopt a pilot project from the second half to limit the generation of coal power and heavy oil when fine dust warnings are issued. The generation will be limited to 80 percent of the current level for 42 facilities for coal power and oil generation nationwide out of the total 68 facilities. The ministry said it is in talks with the Ministry of Environment and regional governments to finalize the plan. The government also plans to lower the portion of sulfur oxides from the current 0.5 percent level to 0.4 percent in coal-fired power plants. Sulfur oxides currently account for 75 percent of fine dust caused by coal power. In addition, out of 61 facilities at coal-fired power plants, a total of 30 facilities will see improvements in environment equipment, according to the government. “When the new measures are carried out without problems, the daily emission of fine dust caused by coal power is expected to be reduced by up to 43 percent in the spring of next year compared to the same period last year,” Paik said. The government said it will also take measures to reduce fine dust in partnership with four industries, including steel, petrochemistry, oil refining and cement, by developing technologies that can remove nitrogen oxide.